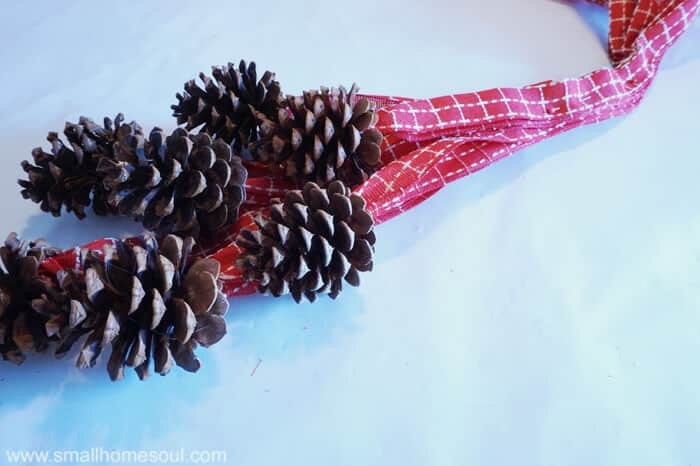 Pinecone Swag - A Holiday Pinecone Challenge - Girl, Just DIY! Need some new decorations for Christmas? 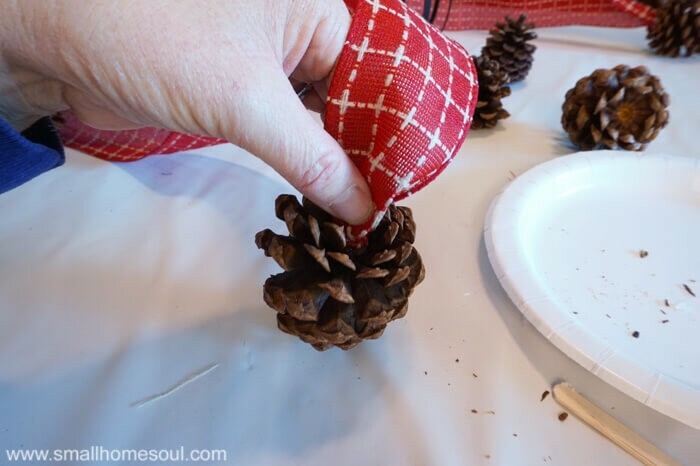 This Pinecone Swag will be perfect; it’s easy to make and inexpensive. And get inspiring projects from my friends too. 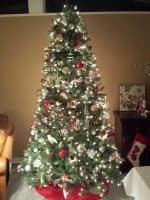 This year I will decorate a bit early than normal because I’m having a gathering at my house this weekend. 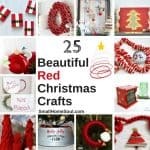 In the blogging world it’s customary to share ideas and projects well before the next holiday to give our readers time to gather supplies and make beautiful things for their own homes. 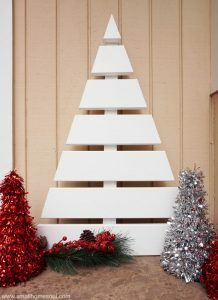 For our Christmas challenge my friend Tonya over at Hey There Delyla suggested we do a Christmas decor challenge using pinecones. So today I’m sharing a cute Pinecone Swag I made for our challenge. 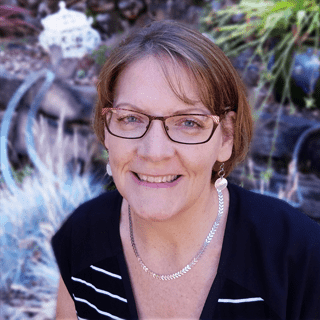 Make sure you check out my blogging friends projects linked up at the bottom of this post. 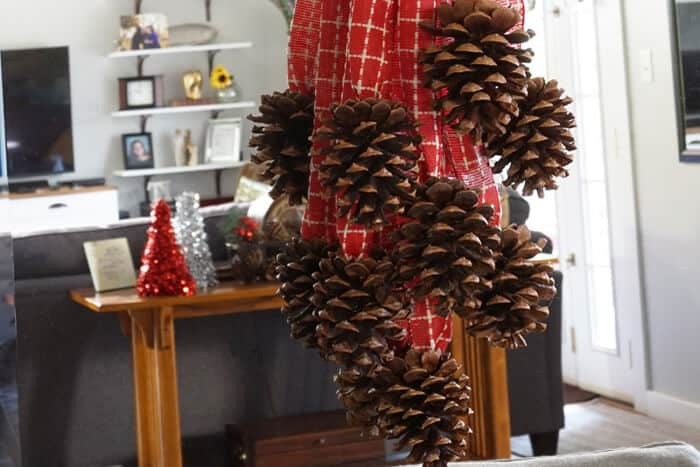 They’ve all come up with some beautiful ways you can use pinecones in your Christmas decorating. I have a few more easy craft projects I’ll be sharing with you in the next week so make sure you come back often to check on those. 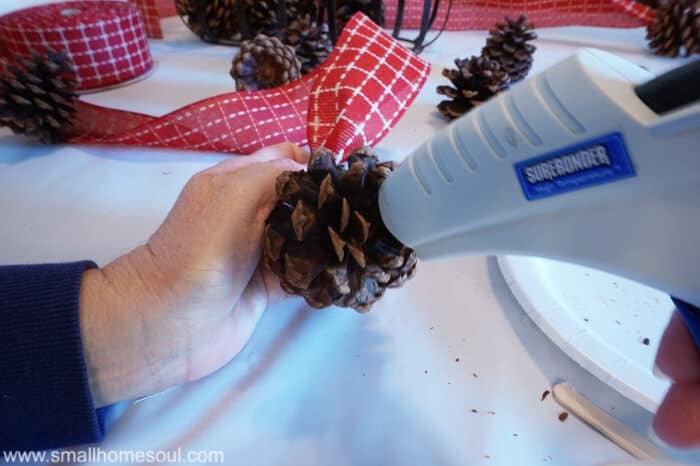 Put a decent amount of glue into the end of the pinecone to start your pinecone swag. Place the folded end into the glue. Holding it with one hand use a craft stick to poke the ribbon into the glue so that all the ribbon has contact with the glue. This will keep the end of your ribbon from unfolding. Continue the step above until all seven pinecones have ribbon attached. Fold each of the ribbons in half at the top then hold them up or lay them out to get them into a nice staggered arrangement. Stack the ribbons like shown below. Once I had mine where I wanted them I used sewing pins to hold them in place. I found the height I wanted and folded the top over to create a handle. 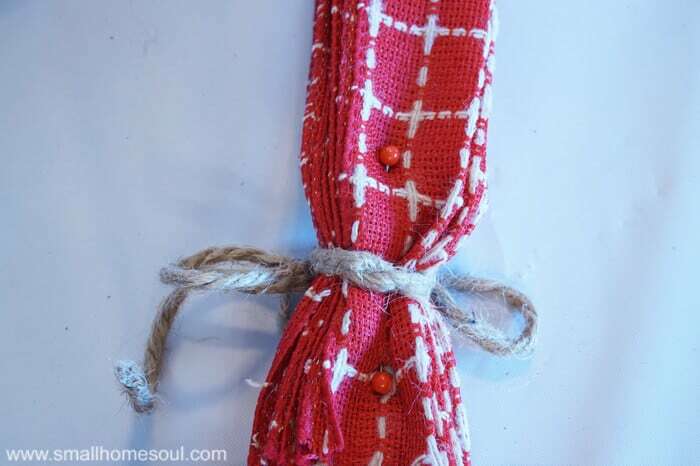 Next I wrapped a length of jute twine around two times and tied it tightly in the front ending with a simple bow. 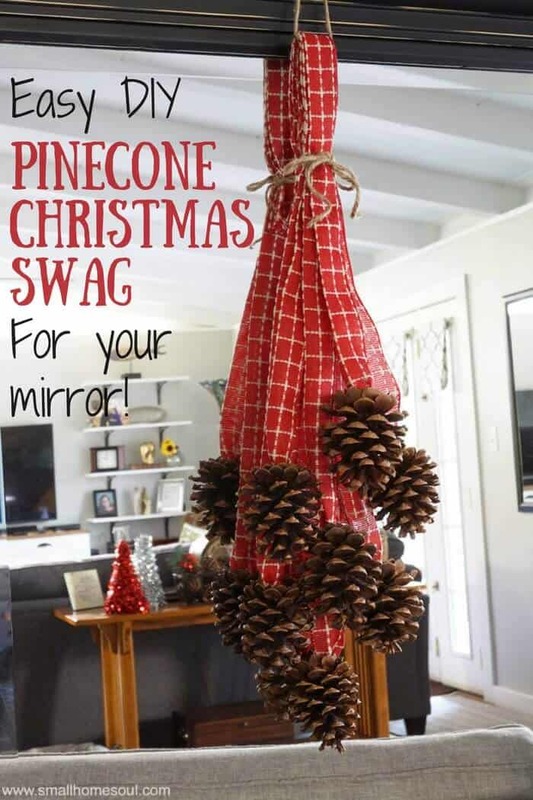 The pinecone swag is pretty light and the twine-tied handle should hold perfectly. If you want to make sure it’s secure you can attach two sewing pins in the back in opposite directions just to be certain. They’re buried in there nicely so no chance of getting stuck. Lastly, trim the excess ribbon leaving about 1-1/2 inches below the jute. All that’s left is to find the perfect place to hang it. 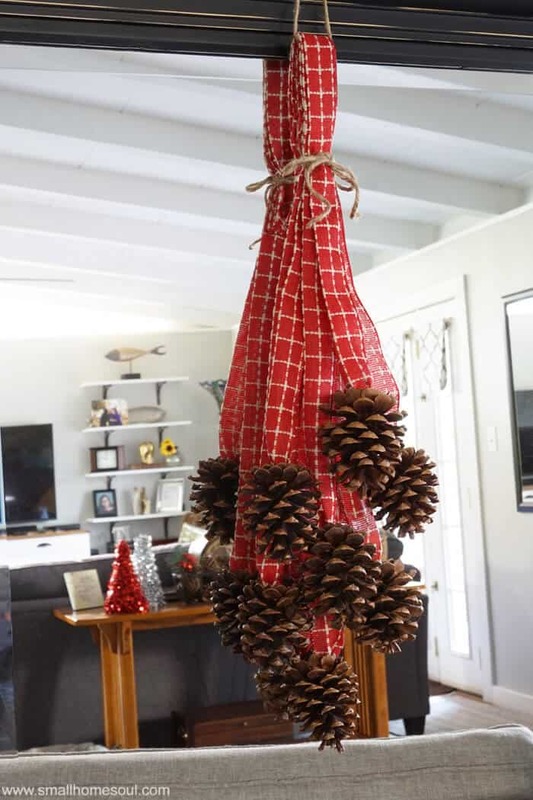 I used red ribbon and if you remember from my Fall Burlap Wreath my front door has a red tint to it which didn’t work with the red ribbon in my pinecone swag. Total clash and no impact. So I found what I think is the perfect place for my new Pinecone Swag. I’ve always wanted a wreath on my mirror and this is a great start. I love how it turned out and since I already had the pinecones from last year, the ribbon, and the jute this project was free to me. That’s the best kind of project, am I right? 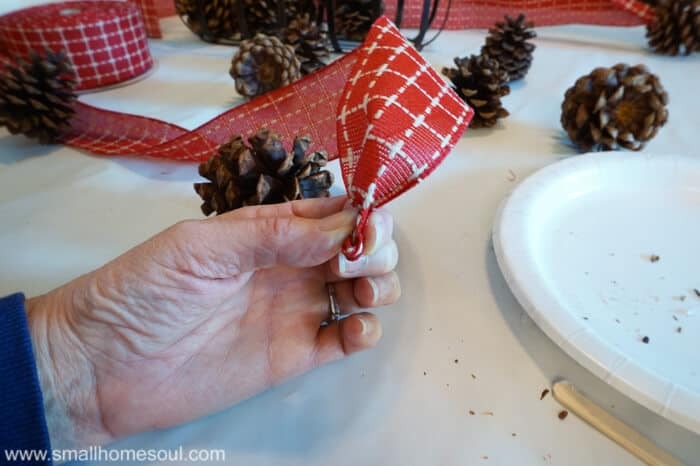 Even if you had to buy the pinecones and the ribbons it would cost around $10 to make; but, if you bought one pre-made in a store it would cost $20 or more. What a cute and simple swag. I love everything about this project. This turned out so lovely Toni!! I LOVE the ribbon you chose also! Toni. I love so much about this project starting with the bright red ribbon contrasting the dark pinecones. This swag would be great even in a smaller version on lamp shades! Love it! Thanks Christy, I appreciate it. 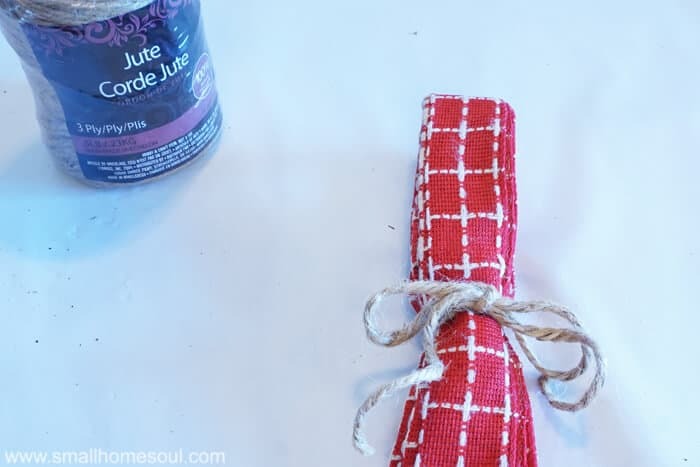 I love bringing natural stuff into the house, it really changes the way the house looks. My weekend was great! I hope your week is wonderful! I Love it!!! It is so beautiful! The ribbon choice is just perfect! Thanks Anika, I love that ribbon and wish I’d bought two spools last year when I found it. This is so cute, Toni. Good job! Thanks Janice, I can see making more with different ribbons to give as gifts. oh wow Toni! 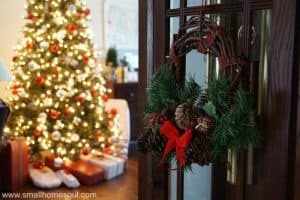 This is so creative and I love the way it adds a festive touch to your mirror. Beautiful!!! Thanks Tonya, it really dresses up the mirror. I can see adding something else after Christmas has passed. I love your pinecone decoration, Toni! I would have not thought of this. Great job! Thanks Sherry, I love all the ideas I see when I do a search for projects. There are so many ways to use pinecones in decorating.